Today’s Sunday post shows love to my amazing clients, I am always so honoured to be able to work with people at such a special times of their lives. 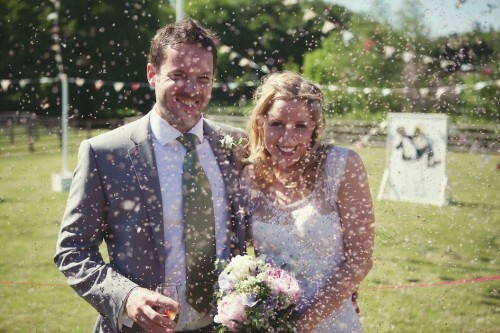 Jenny and James were no exception, friendly, fun and totally in love – I helped them consolidate all their ideas into one rustic Wedding style and then was on hand on the day to run about behind the scenes and ensure their vision came to life. 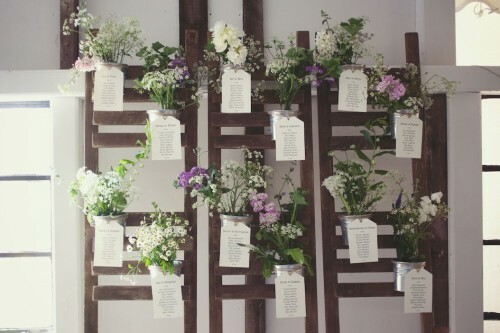 When the Wedding date arrived it was incredibly hot so our worries that the Barn location might be cold or that rain would spoil their fete, we instead had to battle with wilting flowers and melting ice! It was a wonderful day, Jenny and James were as laidback and loved up as ever and everyone was blown away by their DIY efforts. Just check out the Table Plan Groom James crafted especially for the Wedding.